The full-size pickup trucks continue to occupy the top positions on the sales’ charts in the US despite that smaller, mid-size models provide the towing capability that satisfies most demands. A more maneuverable size and more composed ride are also the better sides of the mid-size trucks and the better efficiency will also save some money. However, the all-new Ford Ranger and Jeep Gladiator infused the fresh blood into the segment and the things should become more interesting. The Toyota Tacoma keeps the leading position in the segment while GM’s duo is up with sales in 2018 compared to 2017. General Motors is now finishing the work on the new-generation heavy-duty models but some reports indicate that the mid-sizers should also get some updates. 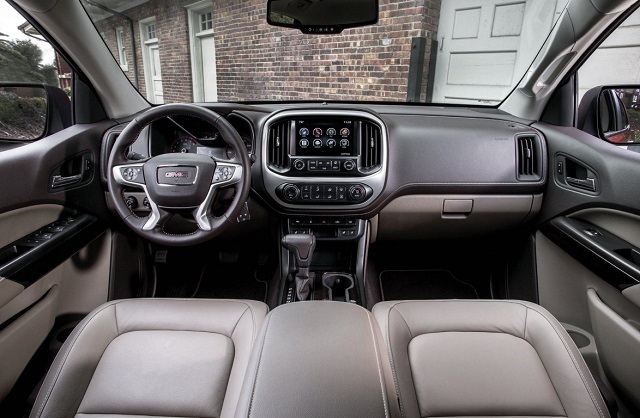 The GMC Canyon was all new for the 2015 model year and the next version could receive some styling and powertrain upgrades. As the possible improvements, the reports suggest the refreshed styling and interior and improved powertrains with the possible introduction of the new transmission system and engine option. However, no official details from the company and no prototype models of the 2020 GMC Canyon have been spotted on the roads. When it comes to the styling, the reports suggest several changes in the appearance of the 2020 GMC Canyon. The next Canyon should borrow the revised signature styling elements while will keep the same size and shape. The new version of the grille should have more dynamic contours similar to what we can see on the redesigned, light-duty Sierra models. In a similar manner, the mid-sizer should adopt the new headlights and taillights with the C-shaped signature elements. On the other hand, the new Canyon will keep the same shape and form of the profile and squared-off fenders. We will again get the model in the extended and crew cab style and with two bed sizes. Inside its car-like cabin, the Canyon won’t make radical modifications. The model received the new infotainment interface and offers the Android Auto and Apple Car Play functions as the standard equipment after the launch of the 2019 version. The company added also the new driver seat and HD camera and there shouldn’t be notable changes in the equipment offer for the new model year. Reports suggest that we should expect fresh material options and a few new details in the interior style. The model could also improve its safety ratings with the inclusion of the missing advanced safety systems. 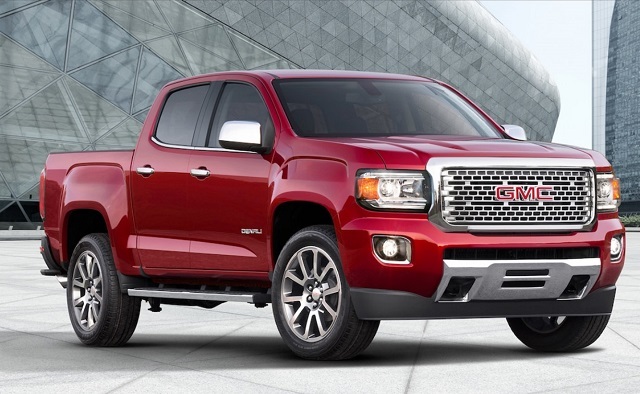 Again, based on the talks in the industry and some sources, the 2020 GMC Canyon could come with several performance upgrades. Reportedly, the brand could up the ante with the new turbocharged engine option and 10-speed automatic transmission. The turbo-4 that could join the range is a 2.7-liter four-cylinder available with the new half-ton Silverado and Sierra models. The current engine lineup should return as well as the six- and eight-speed transmissions. The high-torque 2.8-liter turbodiesel four-cylinder will provide the best towing capability around 7, 700 pounds and the fuel economy around 30 mpg highway. The base four-cylinder gasoline and more powerful V-6 from the current version should also stay the part of the equipment list with expected power and efficiency upgrades. Genal Motors hasn’t commented on the possible upgrades mentioned in the reports and lack of the prototype versions on road could also mean that the 2020 GMC Canyon will return with minimal changes. We will know more details closer to the launch date in the last quarter of the next year. In any case, the price of the next Canyon should remain near the current boundaries.